Enjoy casual dining and drinks with friends with this table and stool set, which includes a counter-height table with a built-in shelf at the base and four barstools. Pull both ends of the table apart to add a leaf to accommodate more guests. 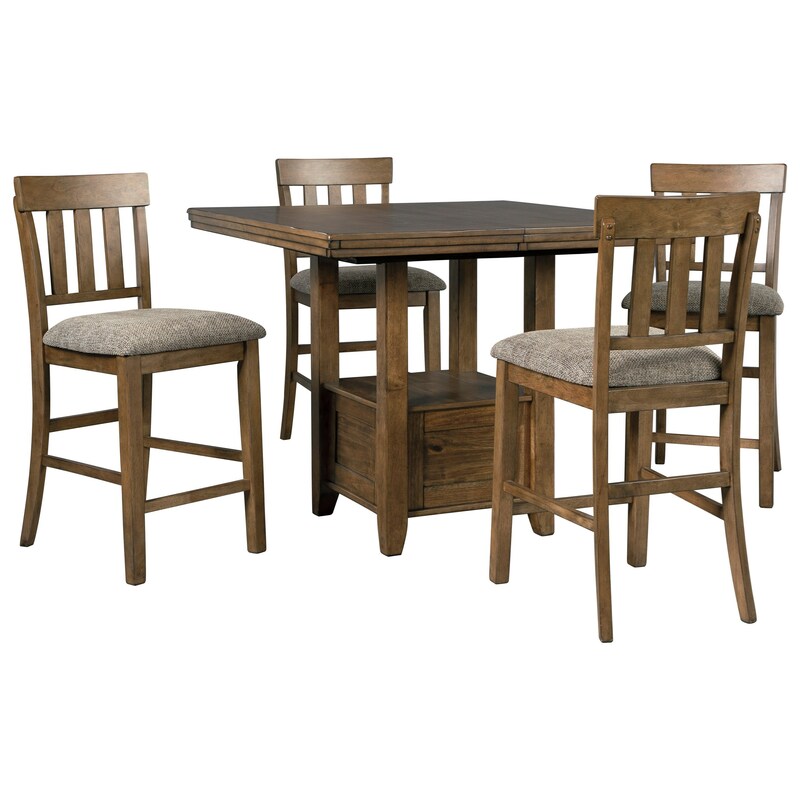 The Flaybern 5 Piece Pub Dining Set by Benchcraft at Miskelly Furniture in the Jackson, Pearl, Madison, Ridgeland, Flowood Mississippi area. Product availability may vary. Contact us for the most current availability on this product. The Flaybern collection is a great option if you are looking for Rustic Casual furniture in the Jackson, Pearl, Madison, Ridgeland, Flowood Mississippi area. Browse other items in the Flaybern collection from Miskelly Furniture in the Jackson, Pearl, Madison, Ridgeland, Flowood Mississippi area.